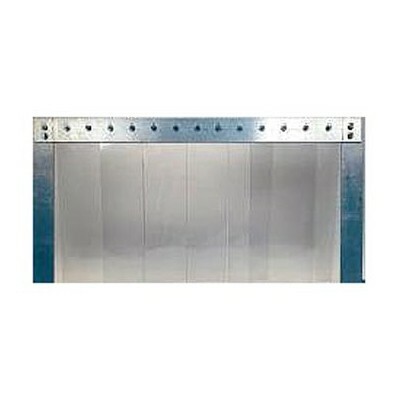 Strip Doors - Welding Screens | Mats Inc. Strip doors provide see through barriers that allow quick and easy passage of personnel, products, and equipment. They can be manufactured to accommodate any size door opening. Strip doors are effective in conserving energy and provide a barrier for dust control. 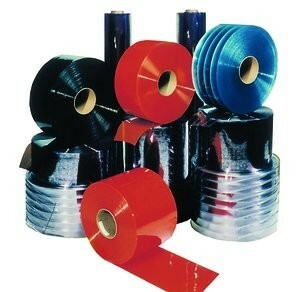 Various widths, styles and colors are available. USDA - Strips meet federal requirements for occasional contact with dairy, poultry and meat production. SAFETY ORANGE - Bright neon orange strips on each end of door draw attention to the actual door area. AZTEC ORANGE -Best for welding screen applications or partial sight barrier. WALL MOUNT - Recommended wherever possible. They require 6" of overall wall space above and to the sides of the door opening. 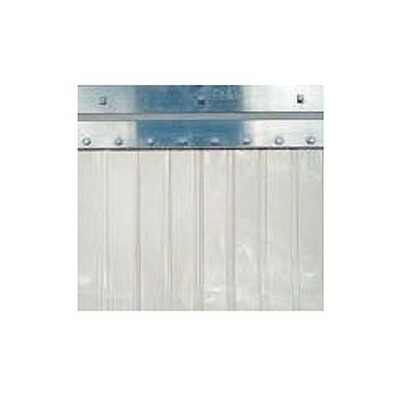 HEADER MOUNT - Recommended where a permanent door or other obstacle prohibits the use of a wall mount.